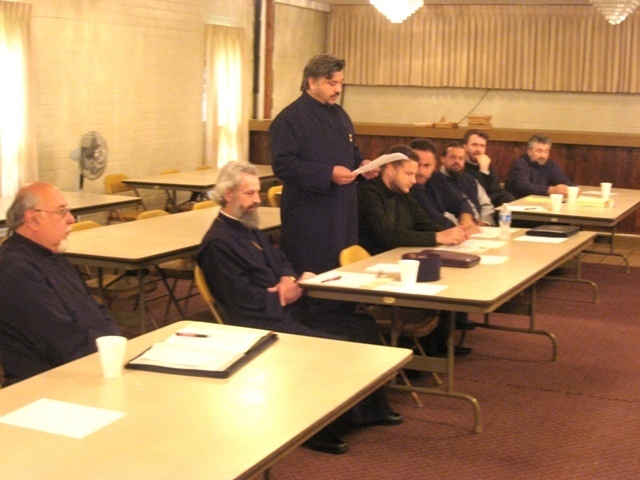 Akron, OH - His Grace Bishop Mitrophan of Eastern America scheduled the Annual Cleveland Deanery Meeting on Christian Education to be held at St. Archangel Michael Serbian Orthodox Church in Akron, Ohio on Saturday, June 5, 2010. V. Rev. Dragomir Tuba was the host priest. The guest speaker was V. Rev. 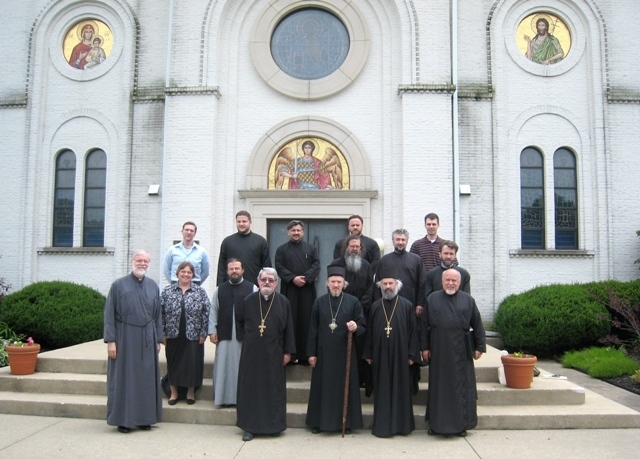 Mijoljub Matic of St. Sava Serbian Orthodox Church in Cleveland. He spoke in detail about how to excite our children about Christian Education and the crucial role played by parents. His talk gave way to a lively discussion afterward. The meeting was attended by the Dean of the Cleveland Deanery, V. Rev. 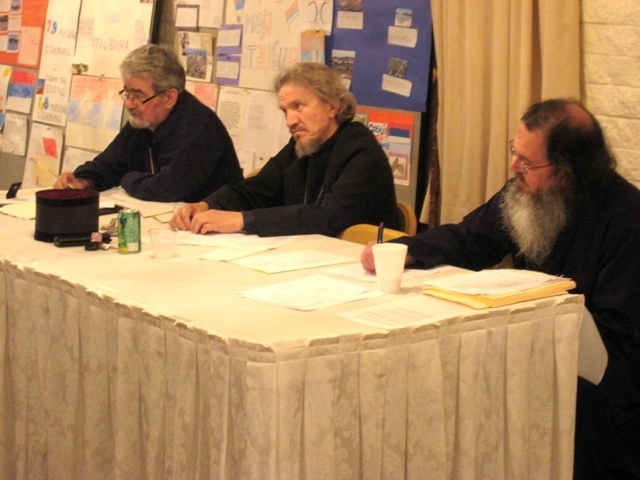 Stavrophor Janko Raljich and V. Rev. Rodney Torbic, the Christian Education Coordinator for the Eastern American Diocese. Also in attendance were Archimandrite Leontije (Alavanja), V. Rev. Stavrophor Rastko Trbuhovich, V. Rev. Djordje Mileusnic, V. Rev. Zivojin Jakovljevic, Protonamesnik Milovan Katanic, Reverend Father Isak Kisin, Reverend Father Dragan Goronjic, Protinica Vickie Trbuhovich and Church School teachers Steven Munich and Mile Andjelkovich. Parish Christian Education reports were given orally and submitted in writing. The Deanery Meetings have been conducted on an annual basis since 1987 and provide for the exchange of vital information on Christian education among parish priests and church school teachers as well as the opportunity to hear a featured speaker on a relevant theme.